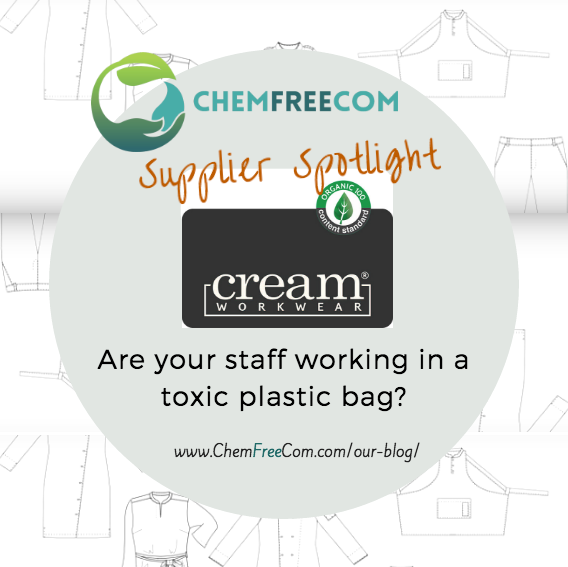 Are your staff working in a toxic plastic bag? Pam never understood why chefs worked in what amounts to a toxic plastic bag. Given the average uniform is made from 65% polyester, and only 35% cotton, means that restaurant and kitchen uniforms are trapping in 65% more body heat than necessary. 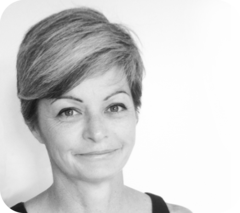 Following a successful career designing clothing for Earthchild Clothing , Pam Burnett founder of Cream Workwear, saw an opportunity in the restaurant and hospitality industry for premium quality, sustainable workwear. We put a smile on the faces of chefs, restaurant staff and health spa therapists who now work in super cool and comfortable uniforms. 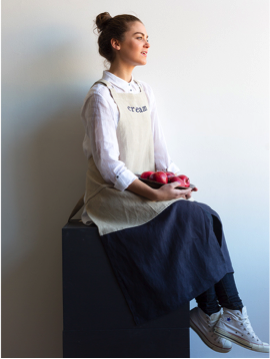 Made from certified organic cotton there are 13 designs across the range, including women and men’s chef jackets, pants, aprons, tunic and women’s wrap dress. Organic cotton is cool to work in and is popular in both the conventional and organic food services industry. 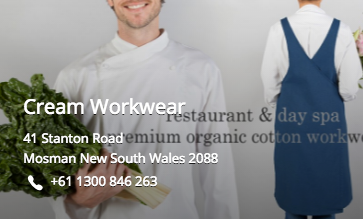 Interestingly our organic workwear, has a greater following from conventional (non-organic) businesses than the organic food services. What got you started in the chemical free industry? Purchasing thousands of meters of cotton each month I could no longer be a part of the process that contributed to the death of so many. Our solution was organic cotton produced from organic farming using no pesticides & no synthetic fertilizers resulting in healthy soils, healthy waterways, healthy communities. We’re privileged to be a member of the Textile Exchange’s “100 Club”, sharing the platform with Patagonia, Armedangels and Loomstate. To be part of the “100 Club” one’s product must use 100% Organic cotton, not a blend of, or a percentage of, but 100% pure organic cotton. We’re proud to say that we do. Our uniforms are super cool & comfortable to wear, modern & eco friendly and made from organic cotton. We don’t use any plastic packaging, only protective cotton bags. We listen to our clients needs and design styles to strengthen their brand. 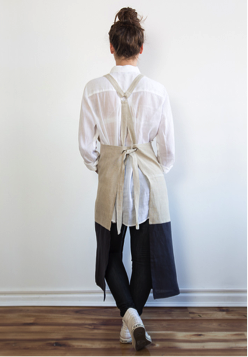 Cotton naturally draws heat away from the skin.This cools the wearer, it’s perfect for hot kitchens and humid climates. Cotton is naturally hypoallergenic and dust-mite resistant which is comforting to sufferers of asthma, allergies, or those with sensitive skin. Cotton doesn’t pill. “Pilling” are those annoying balls of fibre which appear on synthetic jackets and aprons caused by movement friction. Cotton won’t cause scarring when burnt. If cotton ignites, it will turn to ash, and not burn into hot molten balls as polyesters does. 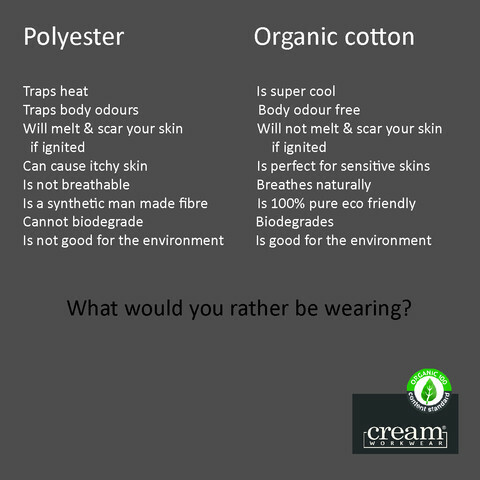 Organic cotton is the best choice as it is 100% toxic free from GMO seeds, pesticides and synthetic fertilisers. 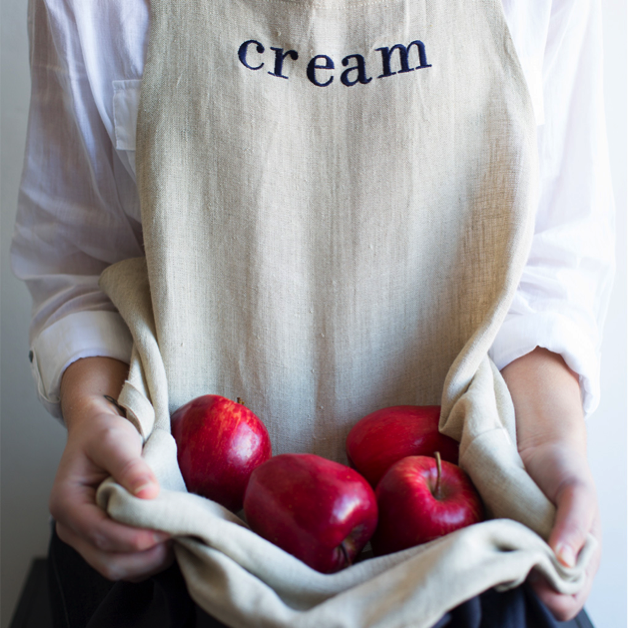 The collection has just this last week expanded into offering stylish, on-trend custom made aprons for restaurants, cafes, & brand marketing. They’ll make any design, any fabric, any colour, and any logo, and cater for small businesses as well as big corporates. 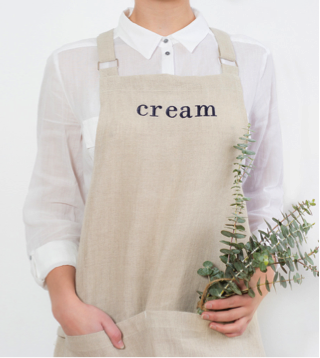 This collection so hot off the ironing board that the apron collection is still finding it’s way onto the website. What has been your biggest obstacle? Finding, engaging & educating my specific target market. Much of the mainstream public does not fully understand the unique benefits of organic products, as compared to conventional. There is a considerable amount of effort required to educate the public about the environmental, social, and health benefits of organic textiles. What is your most interesting/best TIP to help families reduce their toxic chemical exposure? Research every product you buy, DO NOT believe green washing marketing. Is there another non-toxic business that you think is great & would recommend? Yes, Organic Bed Threads who make ethical, organic, handmade bedding that has been created by fair & environmental sustainable practices.